Beautiful home on the Golf Course in the desirable neighborhood Vista Ridge! 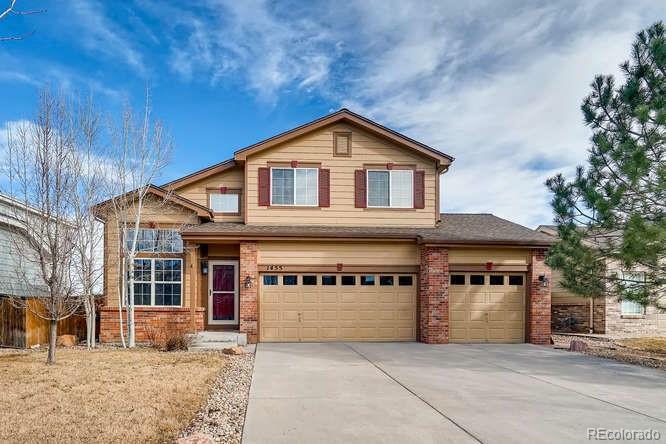 This 4 bed 3 1/2 bath home has been beautifully remodeled. Wood flooring throughout the main floor. Finished basement with high end finishes, adding tons of extra space. Kitchen has an island with granite counter tops and beautiful tile back splash. Kitchen opens up to the living room that has updated fireplace and built in shelves. Light and bright throughout the home. Covered patio that over looks the golf course and mountain views. Backyard is professionally landscaped with a fire pit and lots of trees. This home is a real gem.